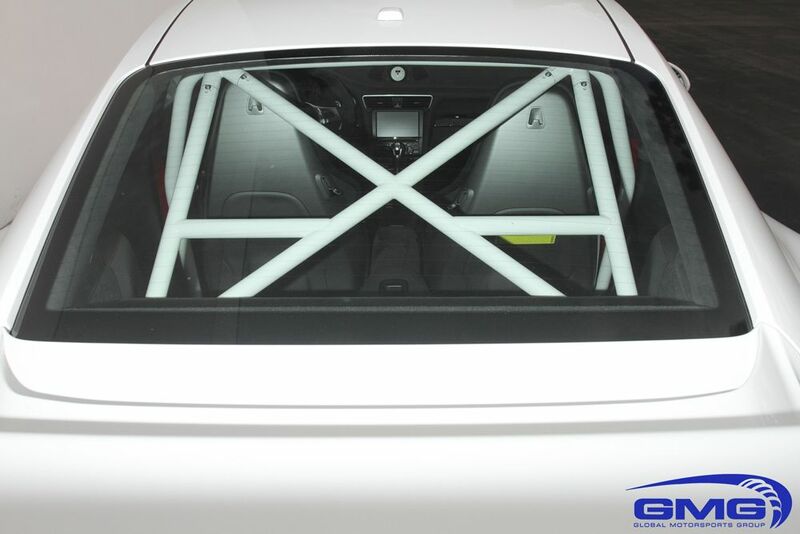 Will fit coupe and convertible, stock shock absorbers including electronic controls are being utilized. 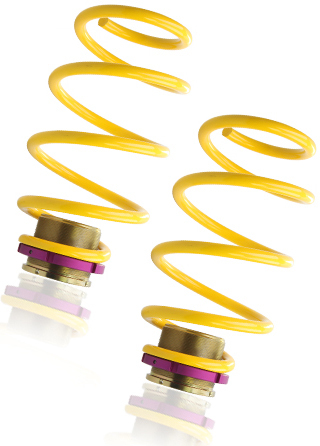 This KW Height Adjustable Spring Kit is perfect for your Porsche with factory equipped electronic dampening system. 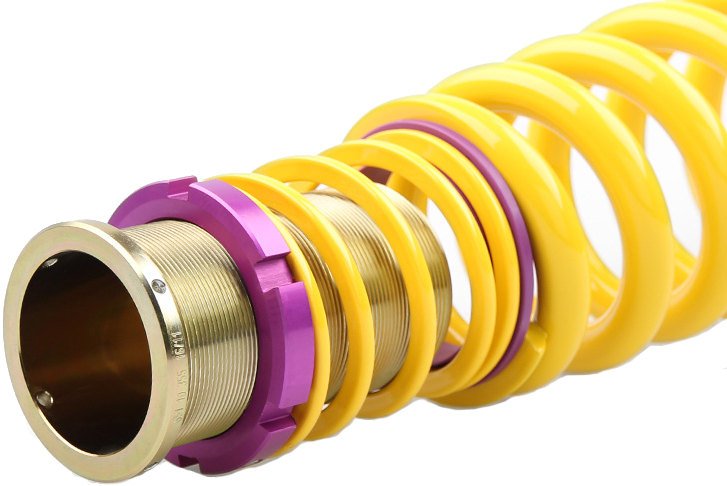 Until now, getting coilovers meant losing this, however KW designed a setup where you can get all the benefits of coilovers but maintain your equipped electronic dampening system. Which means you can adjust drop as well as getting a more aggressive stand and handling feel! KW H.A.S. 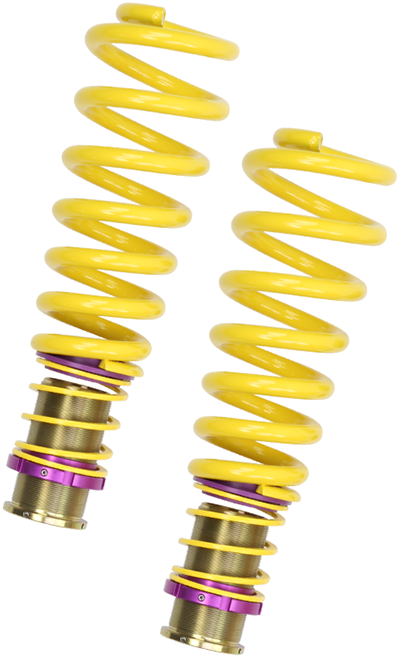 (Height Adjustable Springs) allows for 0.4" to 1.2" drop in the front, and 0.0" to1.0" drop in the rear. 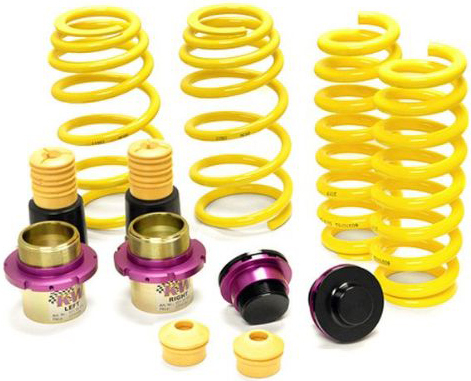 Your vehicle not only gets a more dynamic look with the KW height adjustable spring kit, but the steering behavior and response of the standard dampers becomes more agile.